Welcome back to Another Mother. 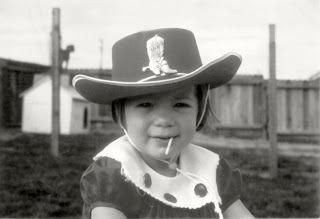 This is the story of Glogirly's adoption and search for her roots. She wants ME to tell the story on account of what a good storyteller I am. Plus there's some freeze-dried salmon in it for me, so...onto chapter three! What happened next will seem like months and months of genealogical detective work. But in fact it was just three days. Glogirly signed up for a free trial membership with Ancestry.com. She found the census record that her cousin Lisa had uncovered and began to familiarize herself with the information these census reports included and how Ancestry's search engines worked. The census reports were fascinating. 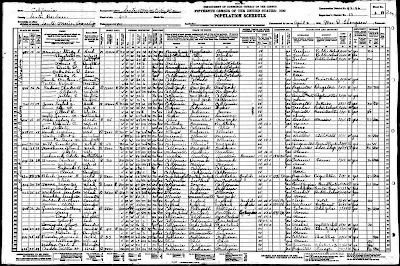 Unlike today's computer generated questionnaires that we all get in the mail, the census reports back in the 1930's and earlier were hand written documents with information gathered by census workers that would go from door to door, house to house, farm to farm. The information they gathered was extensive. They had a standard form and filled in each blank for virtually every household in America. Detail of an actual 1930's census report. Glogirly found that Ancestry.com's database of records could be searched in a variety of ways. The most of important of which was a nameless search. She left the spaces for names blank and instead entered other pieces of information she actually had. Like places of birth, states or counties of residence, approximate years of birth and other details noted on the standard census report form to find families that were possible matches. For practice, she also looked up the census records for her adoptive parents' ancestors. She quickly found her mom and three sisters. In 1930 they lived in Litchfield, Minnesota. There were her grandparents that died before Glogirly was born and adopted. This excercise made Glogirly miss her mom and dad all over again. She looked and looked for possible birth family matches, but couldn't find any with the correct number of children, correct ages or genders. So she kept her focus on the family that her cousin Lisa had identified as a possible hit - The Arthur Cram family from Santa Barbara, California. Since Glogirly was born in Santa Barbara Cottage Hospital, this was as close of a match as she had so far. But there were still two children unaccounted for. Glogirly's birthmother and a sister. She sure wished the 1940 census was available for public access, but that was a no go. So she searched birth records for Cram babies born between 1930-1936. Nothing. She found Cram babies born before 1930 and after 1940, but none within the correct time frame. She looked for address records. Maybe the Cram family moved out of California and the two missing children were born somewhere else. Then when one became pregnant, she was sent back to her home town to keep her out of the public eye. To protect the secret. This was one of many scenarios Glogirly played out in her head. Glogirly searched for Cram babies in every state. Nothing. No matches. She was hitting a dead end. Late one night, very late, Glogirly sat staring at the Google search page on her laptop. Not knowing what else to do, she typed Arthur Cram family of Santa Barbara CA and hit enter. She didn't think she'd really find anything, but had nothing to lose. She found a Santa Barbara County genealogy message board. It was like a bulletin board that people used to ask questions and provide answers for anything genealogically related in Santa Barbara county. She found a posting from 'Sam' in Kansas. Sam was looking for information on the SAME family. Well Glogirly didn't have any information for Sam, but she figured he must know more than she did if he was looking too. His email address appeared at the end of his posting. But his post was dated 1997. It was 2007. Sam's request had been sitting out there in cyberspace for TEN years. Gosh, did we even have email then? His email address was probably long gone. Still, it was worth a shot. So at 2:00am Glogirly sent Sam a note. She told him that although she did not have any information on the Cram family, she too was looking for anything she could find. She didn't tell him why she was looking. Just kept it short and sweet. She hit send. Expecting a return-to-sender error message, she quickly checked her inbox. It was quiet. It was 2:15am and she had to go to bed. The alarm would be going off in just a few hours for work and she could not fall asleep at her desk. Just as she was lowering the lid on her laptop, she heard a ding. A you've-got-mail ding. It was Sam, from Kansas. She couldn't believe her eyes. Sam had sent her a number of attachments about the Cram family. All really old information though. Pre-1800. He was very nice, very thorough, and very forthcoming with the information he had. Bed was not an option. Sleep no longer mattered. Glogirly read through everything. But there was nothing that seemed to bring her closer to a match. She emailed Sam again and asked him if he had any more contemporary information on this family. Like from the 1900's. He responded quickly but indicated that the research he was working on was strictly pre-1900. He was sorry but he didn't have more. Finally Glogirly went to bed. She ate lunch at her desk the next day, searching on her computer, munching on a sandwich. She couldn't stop thinking about Sam. Later that night, she sent Sam a final email. She confessed as to the objective behind her search. Told him of her adoption and the background report. She thanked him for his kindness and generosity of information but explained that she was now certain she had the wrong family. It wasn't the Cram's. Sam sent a quick reply and said he had an idea. It was a long shot, but he wanted Glogirly to send him her date of birth and the county she was born in. He'd get back to her the next morning. Glogirly didn't know what he was up to, but sent him the information and went to sleep. The next morning before Glogirly left for work, she checked her email. As promised, there was a note from Sam. There was also an attachment. Sam had sent her the birth records for all of the baby girls born on her birthday in Santa Barbara county. Each birth record contained only four brief pieces of information. 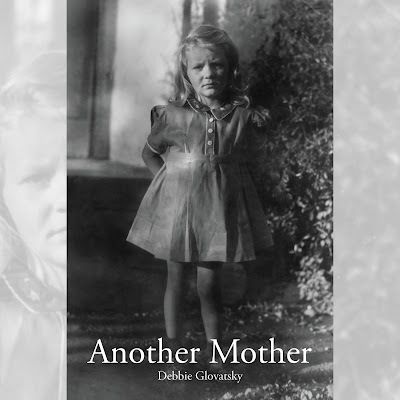 There were 13 girls born in Santa Barbara county on Glogirly's birthday. She looked for her own birth record. She thought her amended record listing her adoptive name should have been included. She thought it was a public record like all the other ones. But it was missing. She scanned the brief records looking for anything. 13 girls. Wait. Then she saw it. Two babies didn't have names. No first name? Maybe the parents couldn't decide what to name it. Maybe the baby died before they named it. It was impossible to know. Then she looked to the 13th baby. She was reading as fast as she could. Her heart was pounding and she was breathing like she'd run a mile. Uphill. Female Beecham. Mother's maiden name, Beecham. This was a single mother. Could this be? Could this actually be Glogirly's birth record? Was she Female Beecham? Her birth record was supposed to be sealed. Not a public record. What did this mean? She sent another note to Sam right away asking what he thought of it all and raced to work. His reply was waiting for her when she got there. He didn't have any answers. Didn't know if it was her. Said there was really no way of knowing for sure. But Glogirly did know something. She knew how to search. She had learned alot by searching the census records. She learned how to track down birth records, death records, nearly every kind of record in Ancestry.com's database. If this was indeed her actual birth record, if she was the Beecham baby, she had something she'd never had before. Something that could make all the difference. She had a name. Sam from Kansas had given her a name. This is such an interesting story! Can't wait to read the next installment. HOW am I supposed to wait? I can only imagine Glogirly's tortuous wait. I guess I addicted to this story now ! Can't wait for next chapter ! But seriously I luv this chapter ! Your life is like a jigsaw puzzle with a million pieces that need to be put together. Thanks to Sam ! Pee S. since Glogirly use to be little was our mom little too? The suspense is excrutiating! How did you deal with it Glogirly? It must have been tearing your heart out! Hooray for Sam! It's amazing the things you can discover if you try. 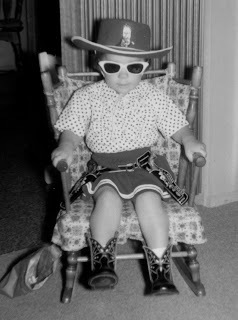 ps: I love Glogirly's little cowboy boots. Sometimes putting your desire into the universe causes amazing things to happen.